(where I HOARD way too much yarn)…there’s a common colour. 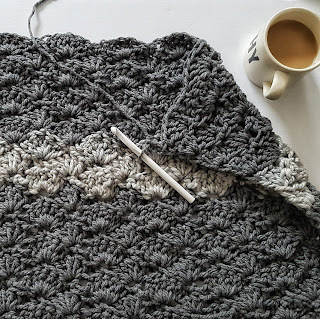 I have so many half/quarter skeins of grey yarn…and I had the idea of making a cozy grey blanket for a while. I finally grabbed my Yarn Winder (best ever!) 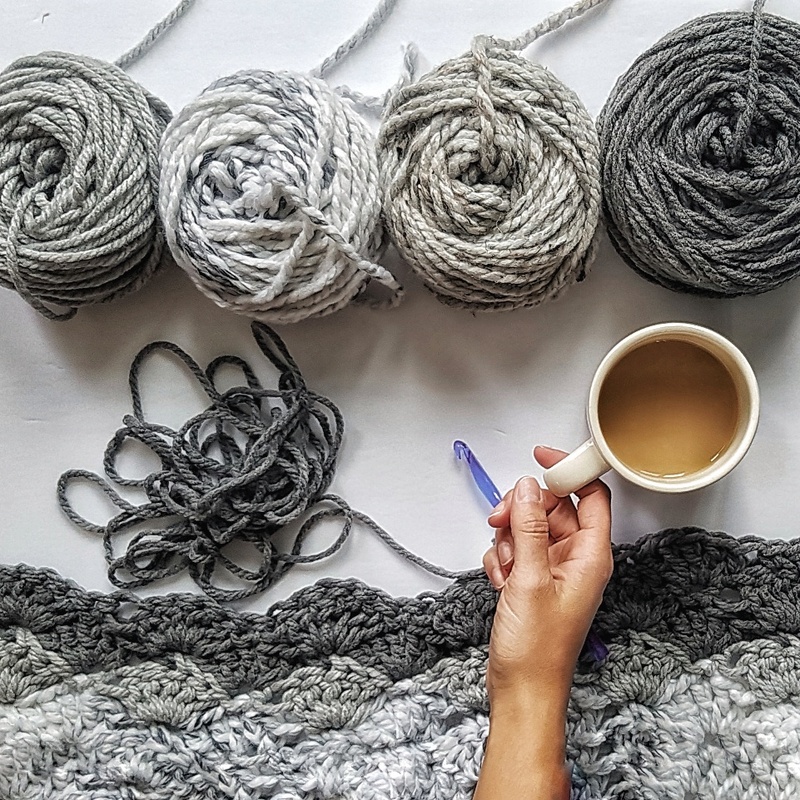 and collected all my tangled grey skeins. 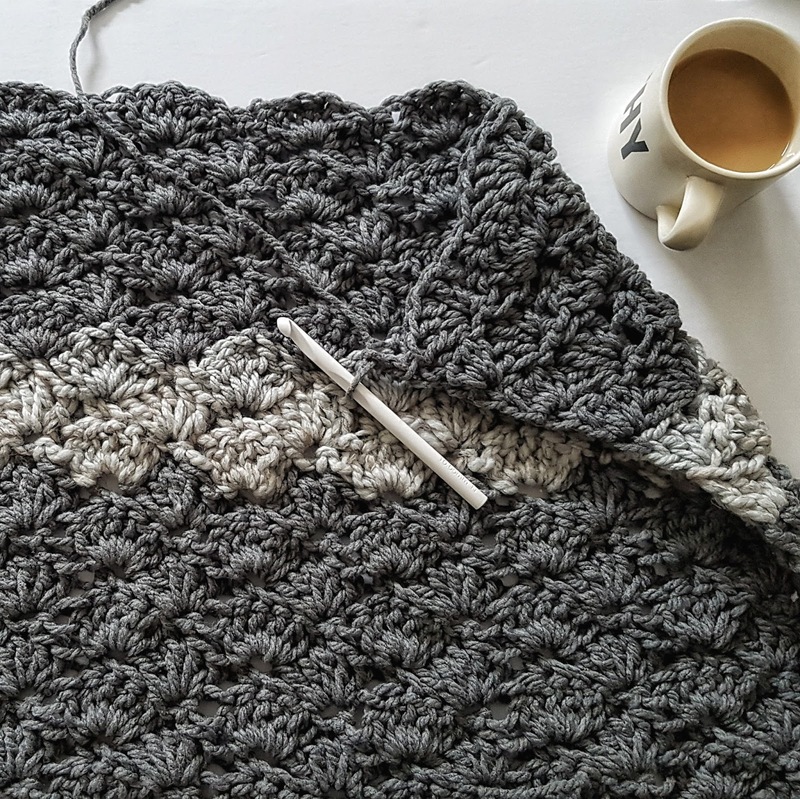 This blanket can be adjusted for size very easily. Grab all that grey yarn and let’s do this! -I changed colours frequently, feel free to use one colour or as many as you want! 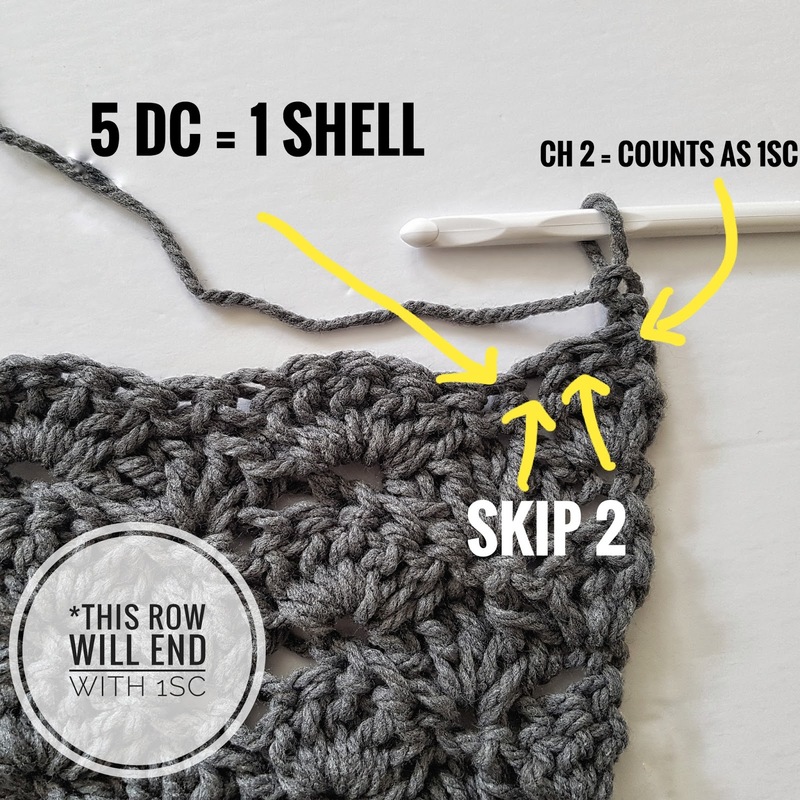 Row 2: (the ch 2 you just did COUNTS as 1 DC), 2DC in the very first stitch, *skip 2, SC in center of first shell from previous row, skip 2, 5DC in the single crochet from previous row, now Repeat from *, your row will end with 3DC in the single crochet from the previous row. Feel free to ask me questions anytime! 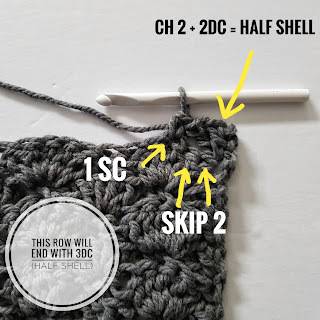 © OTH Crochet Nook | All rights reserved.